The beginning of the off-season is always a tough time. In sports, the plan is to win a championship each season. Unfortunately, as we know, only 1 team gets to win. When athletes and staff have been working and competing on a daily basis for 7 months straight, the off-season is welcomed with open arms. Although we would like to still be working, we will take the rest at the same time. This is the time to get away from the game and recover mentally and physically from the daily grind. It is also time for a hockey player to think about goals for next season. As a player, what do you want to improve on in the off-season? 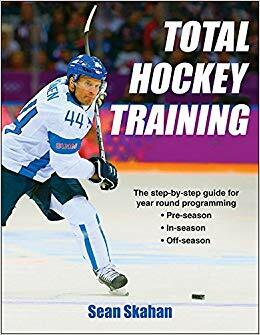 Do you want to get faster on the ice? Do you want to be stronger on the puck? Better conditioned? For me personally, this is the time for me to re-focus and re-energize. Most importantly, I am looking forward to spending some time with my family and welcoming our new son into the world real soon. I am also looking forward to relaxing a little bit and finishing up some unfinished books and articles that I have started. I will also start posting more on the blog. From a training perspective, I will start working with players who are in town in a few weeks. I am already looking forward to getting our guys going for next season. The longer off-season will only help us come back stronger next season. For my own training, I am taking a radically different approach. 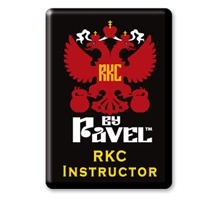 I just registered for the RKC workshop in San Diego in August. I am really excited for this as this is something entirely different for me. I wanted to do something different from a continuing education perspective this off-season unlike in the past where I go to a seminar and listen to lectures for a few days (although I will go to the Perform Better Summit in Long Beach). At the RKC, I am going to get a hands-on coaching experience unlike any other. Besides learning how to teach Kettle bell lifts properly to my athletes, a huge reason that I signed up for it is the challenge. I really wanted to do something outside of the norm in my own training. Training and preparing for this workshop will be unlike any training I have done before. I am looking forward to it and I will keep you posted as I go along. Thanks for reading the blog.